Next weekend is the Brandy Fusion Festival and I can’t wait to get back there! Last year’s festival was the perfect mix of stately and suave, lots of fun for brandy newbies and plenty of fine brandy for the connoisseurs. 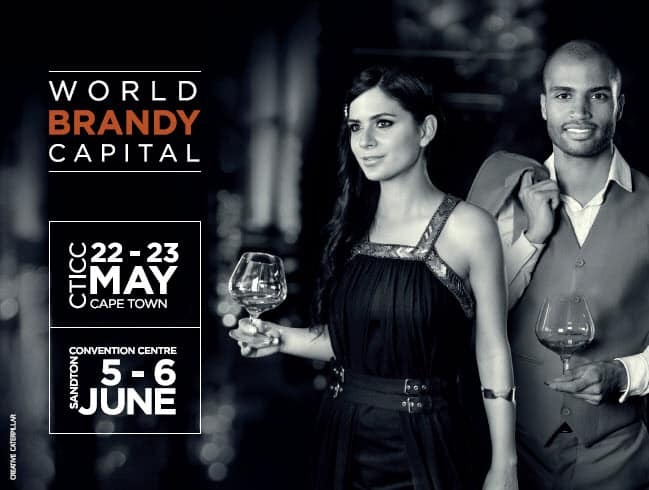 Forget everything you thought you knew about brandy and come and ‘Share the Spirit’ at this much-talked-about luxury showcase. Celebrate one of the county’s oldest traditions and revel in brandy’s refined and its fun side! This year promises to be even better with Micasa performing and ProVerb will be the MC for the evening. Visitors will also be able to experience sublime food and brandy pairings, including a KWV and Huguenot chocolate pairing – delivered directly from foodie-heaven! Sip adventurous brandy-based cocktails at the dedicated cocktail bar which will showcase the Urban Brandy Cocktail Route (which recently expanded to include Cape Town, Johannesburg and Durban) and capture a mouthwatering selection of fresh flavours and mixes.